Newcomer, John Maguire, replaces Mark Scanlon on his scheduled bout with James Head at UFC 138. 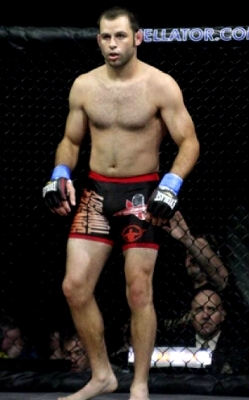 Mark Scanlon (7-1 MMA, 0-1 UFC) was scratched off of the UFC 138 fight card for unknown reasons. He was supposed to meet James Head on the night’s preliminary card, but was now replaced by fellow UK Welterweight, John Maguire, as reported by a source close to the event. UFC 138 will be held on November 5 at the LG Arena in Birmingham, England. The evening’s main card, which headlines the middleweight bout between Chris Leben and Mark Muñoz, will be aired on Spike TV via same-day delay. As of now, UFC officials have not yet formally confirmed the new bout. John Maguire (16-3 MMA, 0-0 UFC), a former UCMMA welterweight champion who also competed in BAMMA, is now set to make his UFC debut. 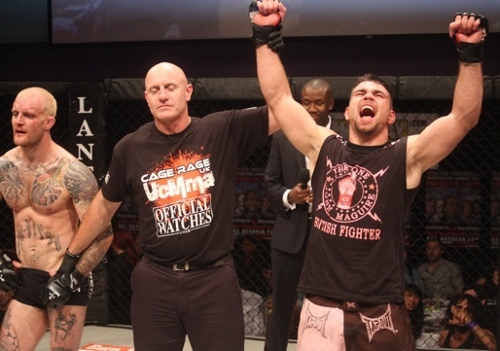 He currently holds a five-fight win streak, which includes a notable victory over Dean Amasinger at UCMMA 18 event. James Head (7-2 MMA, 0-1 UFC), on the other hand, is a Brazilian Jiu-Jitsu purple belt holder who started training in 2008. He opened his MMA career with a 7-1 record, which consisted of a unanimous decision victory over UFC veteran Gerald Harris. James Head just made his Octagon debut at UFC 131 last June, where he attained a submission loss to Nick Ring. Stay tuned to Fighting Insider for more UFC 138 updates. A representative from UFC’s German partner announced that UFC 122 is selling very well to German fans. However, tickets weren’t sold out yet. Marek Lieberberg, UFC German promoter, said that 8,000 and 9,000 tickets have been sold for the show. UFC 122 will take place this Saturday at Konig Pilsener Arena in Oberhausen, Germany. It was March when UFC last aired then it was banned by Bavarian office for new media. 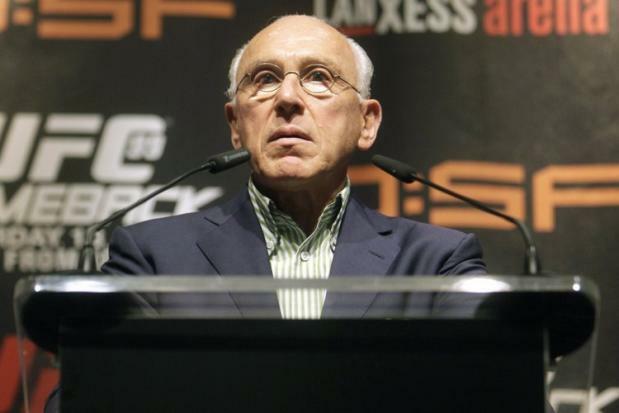 Lieberberg is still confident that UFC will win the legal case and be back on air soon. The German native fighter Kris McCray faces a lot of pressure in returning to his hometown and regaining strength after a loss. 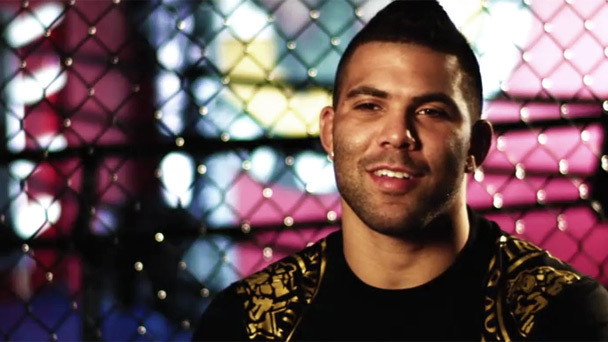 He will face Carlos Eduardo Rocha on a preliminary fight in UFC 122: Germany. Going back to the country where he was born and a rise after a UFC loss brings big pressure for TUF 11 runner-up Kris McCray on this Saturday’s UFC 122 in Oberhausen, Germany. Hours before flying to Germany, McCray stopped at the AOL studios in NYC to discuss his welterweight debut against Carlos Eduardo Rocha. There’s nothing much to say about Rocha except for his fights in Germany with unknown opponents. Mark Scanlon replaces Kenny Robertson due to toe injury. The latter was forced to withdraw from the card. UFC 122 takes place on November 13 at the Konig Pilsener Arena in Oberhausen, Germany. The reigning undefeated welterweight Mark Scanlon (7-0 MMA, 0-0 UFC) replaced Kenny Robertson (10-0 MMA, 0-0 UFC) due to an injury. Now Scanlon will meet fellow UFC newcomer Pascal Krauss (9-0 MMA, 0-0 UFC) at next month’s UFC 122 event. The word came from German MMA site groundandpound.de. UFC 122 will take place on November 13 at the Konig Pilsener Arena in Oberhausen, Germany, and airs via same-day delay on Spike TV. Their fight is a part of the night’s unaired preliminary card. Robertson was forced out off the card with a broken toe. He posted it on his Facebook status. Scanlon owns seven stoppages among his seven wins. On UK fight circuit he posted five submission wins and two TKO victories. Though he actually missed two years because of his injuries. He will test his skills against Krauss who signed a four-fight deal and secured a UFC 122 slot in August.